What is a drop 10 baseball bat? Basically, this means that the length of the bat in inches is 10 more than its weight in ounces. So if it 29 inches long, it also weighs 19 ounces. This is one of the more popular drop weight ratios among youth players, and especially among players 7 to 11. It offers a nice length so the player can get a lot of the plate, and at the same time it offers a nice comfortable weight that lets the player direct the bat in the direction they want. But deciding on a drop 10 youth baseball bat doesn’t end you’re dilemma if you’re in the market for a good bat. That’s because there are lots of drop 10 baseball bats available in the market today. And so to help you out, we’ve narrowed down your options to 5 of the best. These models all have excellent reputations and they also all bear the USSSA 1.15 BPF Stamp. I know sizes of bats and all that can get confusing. Let me break it down for you in the most clear manner. The drop 10 bats are all “big barrel” bats, and this means they’re considerably larger in diameter than the usual 2 1/4-inch diameter bats. Minus 10 bats are either 2 5/8 or 2 3/4 inches in diameter. They’re also all balanced in weight distribution, as opposed to end-loaded bats that feel like you’re wielding a hammer. They’re all available in different price points ranging from about $100 to $350. There are options for 1 or 2-piece construction, and you also have choices between aluminum alloy and composite material. 2019 DeMarini Voodoo Balanced (-10) 2 5/8″ USA Baseball Bat. If you’re one of the more physically advanced in your junior high school team looking for drop 10 bats, this is the bat you need. The barrel is made with the lightweight X14 Alloy that’s designed to give you a lot of control over the bat even as you increase your swing speed. That’s more power and pop while you place the bat where you want it to go when you swing. The handle is made from the special Paraflex+ Composite material, which gives you great feel upon contact with the ball. With the streamlined design, the weight distribution is excellent for great control while it reduces vibration and reflects the energy back into the barrel. It also helps that the RCK knob is ergonomically designed to fit your hands really well. The Xlite also reduces the knob weight by 25% compared to the standard knob design. Can’t Go Wrong With The Solo! 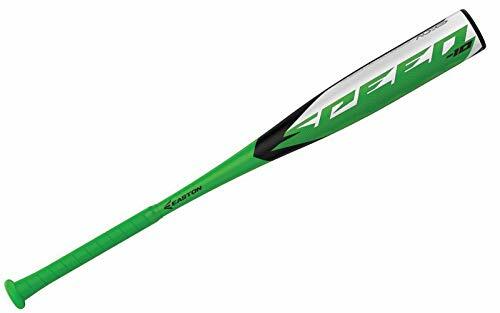 2019 Louisville Slugger 2019 Solo 619 (-10) 2 2/4″ Senior League Baseball Bat. 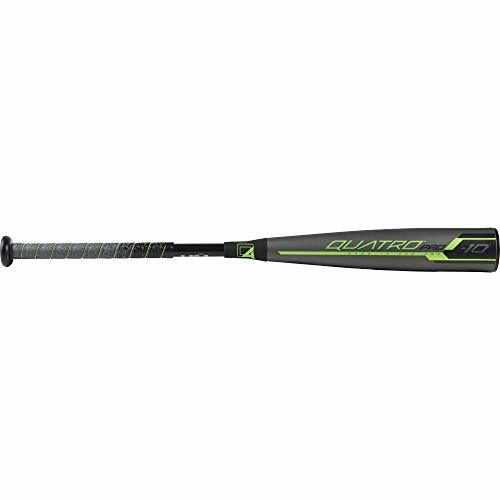 If you need to meet the USSSA 1.14 BPF standard, you should consider this bat with its 2 3/4″-inch barrel and 7/8″ tapered handle. It’s all in one piece, with SL Hyper Alloy construction giving you a stiffer feel. When you make contact with the baseball, you maximize the energy transfer that translates to greater distance with your hits. This improved pop is partly due to the increased swing speed caused by the Speed Ballistic Composite (SBC) end cap. It also gives you tremendous control over the bat, so when you take a swing the bat goes where you want it to go. That control is bolstered by the balanced swing weight, and by the new LS Pro comfort grip for a great mix of cushion and tack for your hands. Also Check Out The Cool Axe Bat! 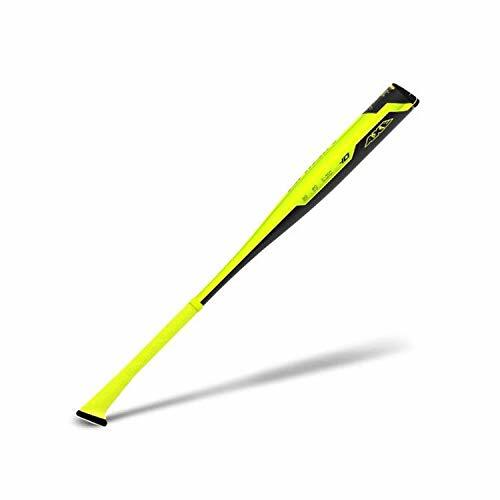 2019 Axe Bat Origin (-10) USABat Baseball Bat. This meets the USABat standard and is legal to use for AABC, Pony, Dixie Youth, Babe Ruth, and Little League. This 1-piece alloy bat offers a balanced weight, while the barrel measures 2 1/4 inches. If you’re any kind of baseball player and fan, by now you must have heard about the unique handle design of the Axe Bat. As the handle is similar to the handle of an axe, you have more directional control when you swing while you also maximize your swing speed. The CAR technology gives you a 270-degree engineered hitting zone, so there’s no need to rotate the barrel. All in all, this is the fastest and best USSSA bat that the Axe Bat brand has ever manufactured. What’s a Bat List Without An Easton? This drop 10 baseball bat is a 1-piece bat made of ALX 50 aircraft-grade alloy with a 2 5/8-inch barrel. With this material and its -10 drop ratio the swing weight is comfortably light. It’s quite comfortable too, with its concave end cap and 2.88mm cushioned Flex grip. It’s approved for USA Baseball, and you can expect it to last for the whole season. It comes with a 1-year warranty. 2019 Rawlings Quatro Pro USA (-10) US9Q10. This 2-piece composite bat features a lot of new technology from Rawlings, and it’s allowed for USA Baseball. It offers a balanced swing weight along with a concaved lightweight end cap for faster speed and more pop. With features like Focused Flex and Longitudinal Flex, it’s one of the best drop 10 bats right now. You really get your money’s worth for sure. So that’s the list of the best drop 10 bats for 2019. Pick a price range, and choose between 2 3/4 and 2 5/8 inches, between 1-piece and 2-piece, and between aluminum and composite. And then let’s start hitting the ball with a sweet drop 10 baseball bat!